Monty Harper is the host and organizer of Born to Do Science. He is an award-winning children's songwriter and performer and an enthusiastic informal science educator. 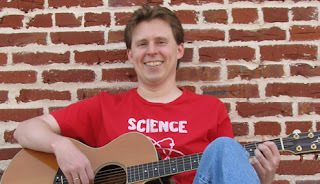 Monty is available to present his interactive multimedia program of songs and scientists from Born to Do Science in schools, libraries, and museums. To find out more visit www.montyharper.com.